I'm Happy About Pumpkin Oatmeal: Are You? 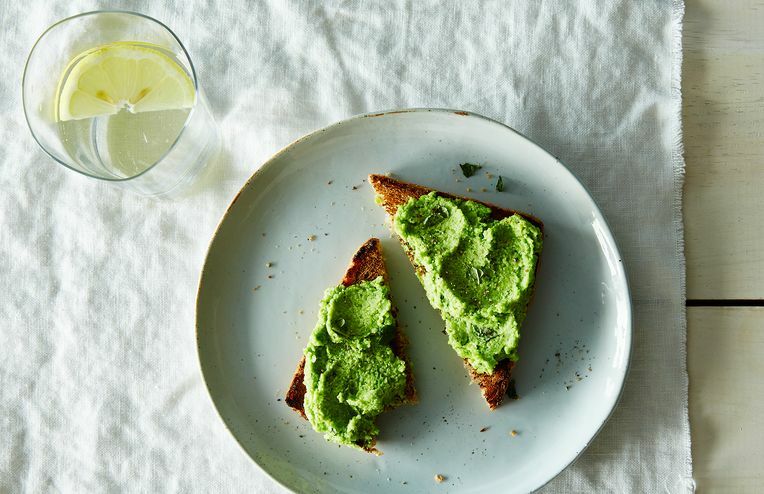 Toast says goodbye to avocado and welcomes peas as its new best friend. Who says you need meat to make game day-worthy tacos? This vegan version is easy to make ahead (or make at the last minute), and it's accompanied with a cabbage slaw you'll want to eat on its own. Now that's something to taco-bout. A cornbread that ditches the dairy while remaining moist, slightly sweet, and snackable. This dessert proves that vegans can have their cake -- made with summer's best fruit -- and eat it, too. Bulk up your summer pasta with hearty lentils. A bright summer lunch for those days when you can't bear to turn the oven on. Whip up a batch of cashew cheese -- and then spread it on your pizza, pasta, and toast all season long. This is not your mother's curry. A weeknight pasta dish that shows off eggplant's versatile, satisfying side. Labor Day weekend may have come and gone, but grilling season will linger for at least a little while longer. Give green soups a chance. A vegan ice cream so creamy and rich, it'll bring a smile to the face of even the most die-hard ice cream enthusiast. Gena's enjoyed avocado on toast, in smoothies, and even for dessert; today, it's starring alongside berries in a summer salad. Gena is boldly going where no Food52 column has gone before: she's cooking tempeh. And you are, too. Gena shares a bright, creamy vegan dessert that we'll probably be eating for breakfast, too. Every other Thursday, Gena Hamshaw of the blog Choosing Raw shares satisfying, flavorful recipes that also happen to be vegan. Today: Gena proves that vegan food can provide that stick-to-your-ribs satisfaction that winter's chill elicits from our kitchens. Mushroom, Kale, and Quinoa Enchiladas -- along with a number of past New Veganism recipes -- will keep you sated and comforted until spring finally appears. Turn your cashews into a luscious, vegan cream that will add depth and richness to almost any recipe, sweet or savory.